On New Year’s Day, Italians traditionally eat cotechino sausage and lentils as the round coin-like shape portends a prosperous New Year. This simple recipe takes minutes to make and is hearty and delicious. – 2 large, ripe fresh tomatoes, diced. In a large saute pan, brown the sausage, remove from pan and set aside to cool. In the saute pan, add some additional olive oil, the sliced garlic and the onion and saute until the garlic and onion softens about 3-4 minutes. Add the diced tomatoes and simmer 15-20 minutes until the tomatoes break down. Add the broth a little at a time as the tomatoes break down. You don’t want the pot to be dry. I ended up using about 7/8 of the can. Here’s a picture at this point. 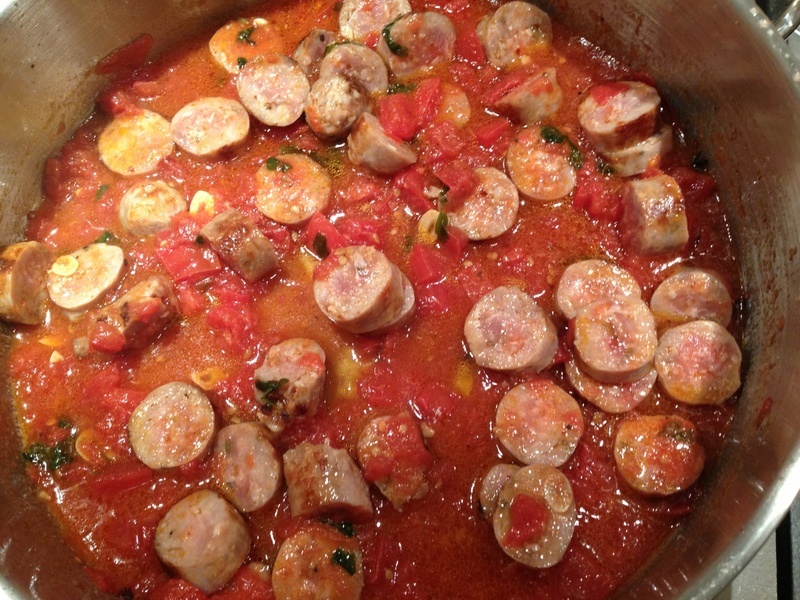 Next, add the sausage back to the pan and finish cooking through as you drop the pasta into the water. The green flakes in the picture below are a bit of torn basil I threw in. 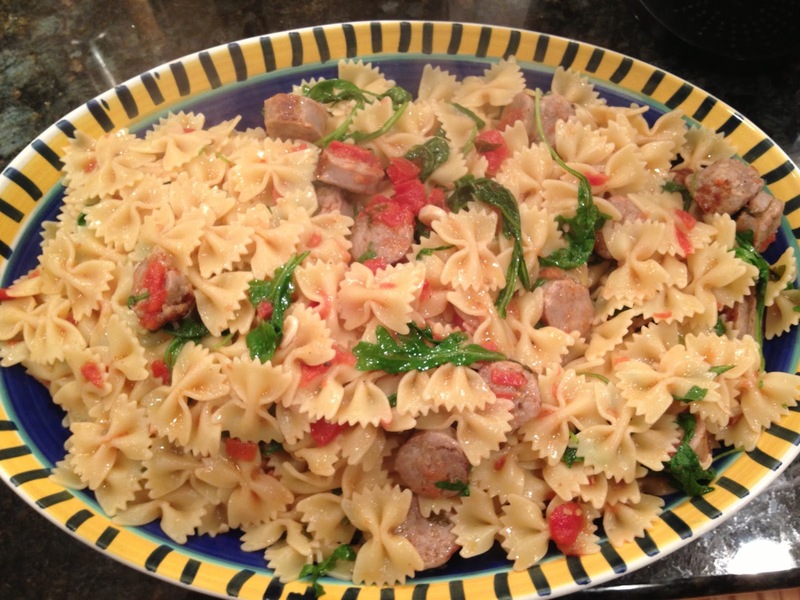 Finally, drain the cooked pasta to the pan with the sauce, add the arugula, toss and transfer to a serving platter. Serve immediately with lots of grated pecorino and hot pepper flakes. It’s simple, and doesn’t get much better. thankyou so much for sharing this recipe!